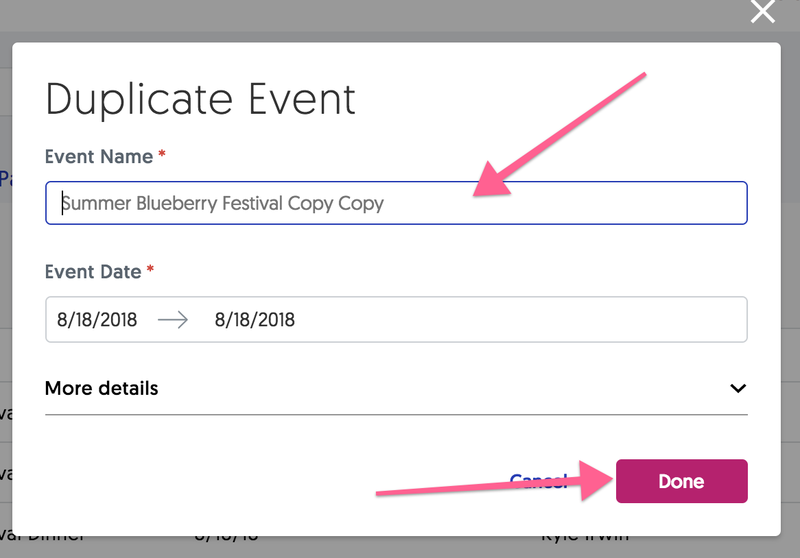 If you find an Event created by another team member (or former team member), Clone that Event and you will be the Owner of the new Copy! First, find the Event by using the Search bar or the Sort and Filter options. From here you can click Done or choose to rename the event, then click Done. You will be the Owner of the new Copy. Move forward in the new copy (and delete the older version, if necessary). How do I add multiple rooms to my event?